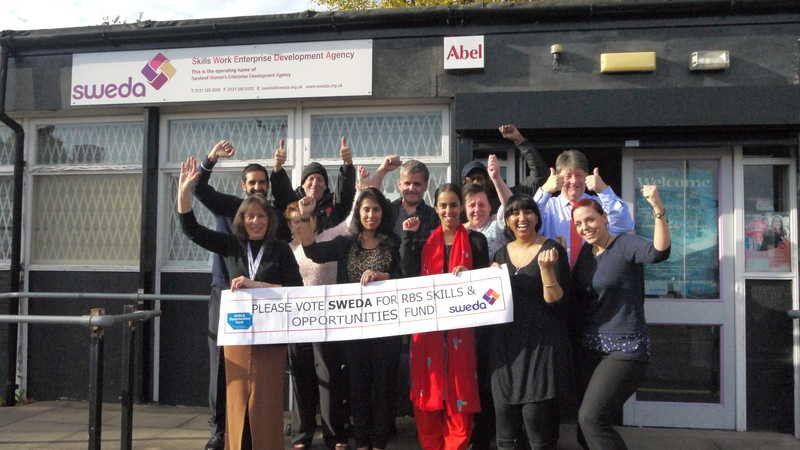 SWEDA (Skills Work and Enterprise Development Agency) is delighted to announce that we have been shortlisted for the voting round of RBS Skills and Opportunities Fund. Our ‘Open for Business’ project will feature on the RBS voting webpage amongst others from Friday 8th April, 12pm onwards. ‘Open for Business’ will engage with and support unemployed women and Asian women facing social, cultural and language barriers in the Black Country. Regardless of age, heritage, culture or background, each woman will receive appropriate support and mentoring to create positive changes and remove barriers to employment and self-employment. 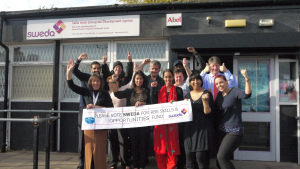 SWEDA are a Sandwell based charity celebrating 26 years of supporting communities in and around Sandwell. We help people to gain employment, develop new skills or even to start a new Business / Social Enterprise. The RBS Skills and Opportunities fund will help us to continue the vital support we are able to offer our clients. Please spare less than two minutes of your time and help us to deliver this fantastic project by voting for us this week. We encourage you to share this email across your networks to help us get the word out there! To vote follow the three simple steps below. Finally, we would like to say a massive thank you for your support and we will endeavour to keep everyone who has voted for the project updated. If you have any questions about anything please do not hesitate to contact us on 0121 525 2558 / sweda@sweda.org.uk or for further information on what we have to offer please visit www.sweda.org.uk .